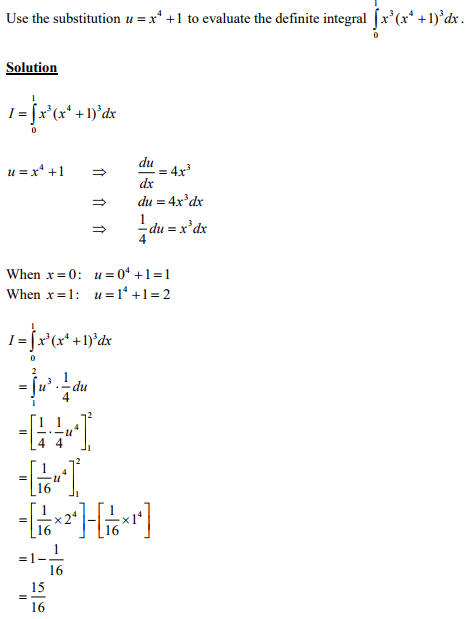 Unsure about Integration by Substitution? A sound understanding of Integration by Substitution is essential to ensure exam success. Note that the answer for an indefinite integral must always be expressed in terms of the original variable. Through step-by-step worked solutions to exam questions available in the Online Study Pack we cover everything you need to know about Integration by Substitution to pass your final exam.